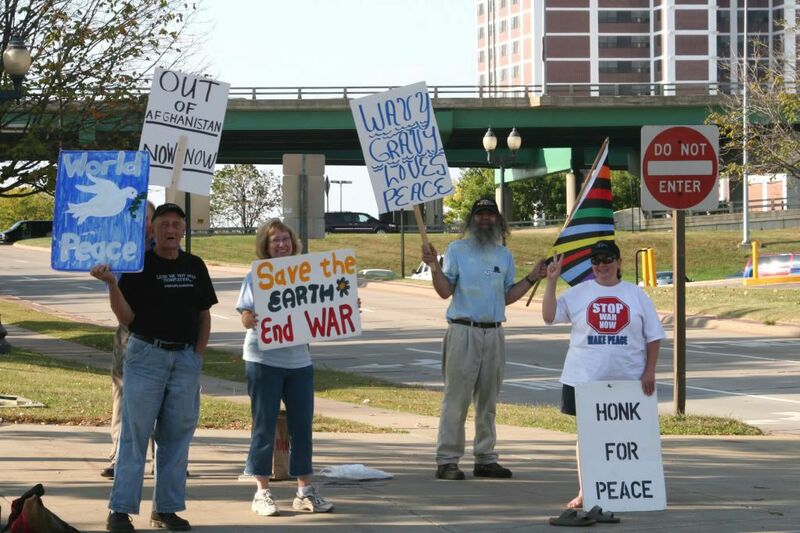 As we drove to Haldan's work dinner tonight we happened upon these protestors in downtown Cedar Rapids... love the "Wavy Gravy Loves Peace" sign. I thought it would be a very relevant photo to include in my scrapbook for the year. cool pic! Am I dense or something...you may have to explain the Wavy Gravy sign, or is it just a random saying?